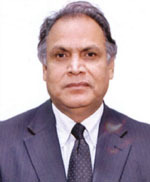 Sukhadeo Thorat is Chairman, Indian Council of Social Science Research (ICSSR); former Chairman of University Grants Commission (UGC); and Professor of Economics, Jawaharlal Nehru University, New Delhi. He has a BA (Milind College of Arts, Aurangabad, Maharashtra), MA in Economics (Dr Babasaheb Ambedkar Marathwada University, Aurangabad), MPhil/PhD in Economics (Jawaharlal Nehru University) and Diploma in Economic Planning (Main School of Planning, Warsaw, Poland). His research areas include agricultural development, rural poverty, institution and economic growth, problems of marginalised groups, economics of caste system, caste discrimination and poverty. He was the Director of the Indian Institute of Dalit Studies, New Delhi from 2003 to 2006 and the Research Associate of International Food Policy Research Institute, Washington DC, USA, since 1992. In 2008 he was awarded the Padmashree in the field of literature and education.